Thank you very much for accessing our website. 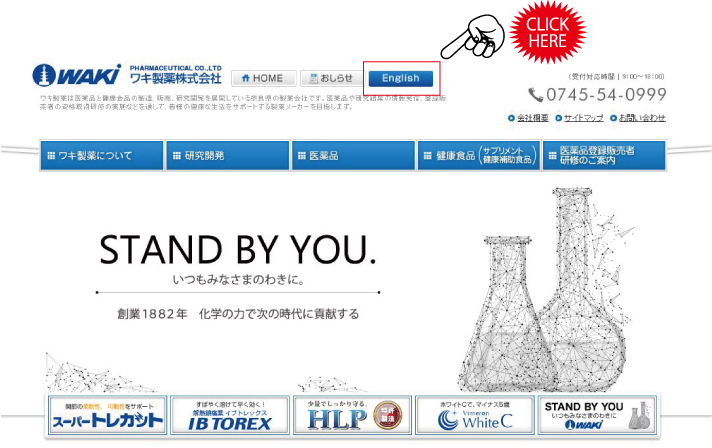 Waki Pharmaceutical has opened a webpage in English to build good relationships with people outside Japan. Please click the 【English】 button at the top of each page to view the page. As in the Japanese webpage, we will put more information on the English page for foreign customers. Copyright (C) 2013. Waki Pharmaceutical Co.,Ltd　All Rights Reserved.